I’m testing Android Jelly Bean on my Nexus S running CyanogenMod 10. 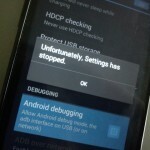 The exact ROM is “cm-10-20120715-FEATURED-crespo.v0.6.zip”. 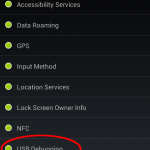 I’m getting this weird problem: if I disable USB debug, I cannot re-enable it. 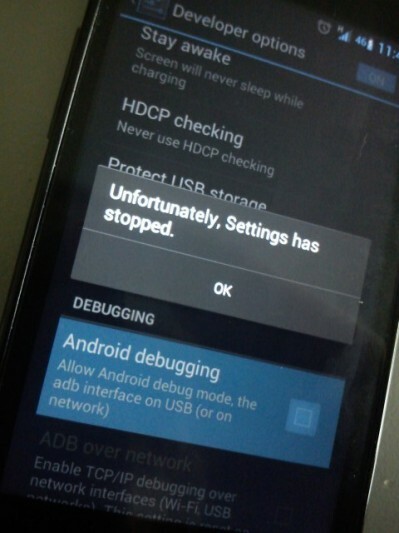 I’m talking about the feature of Android which allows you to use adb from your pc. 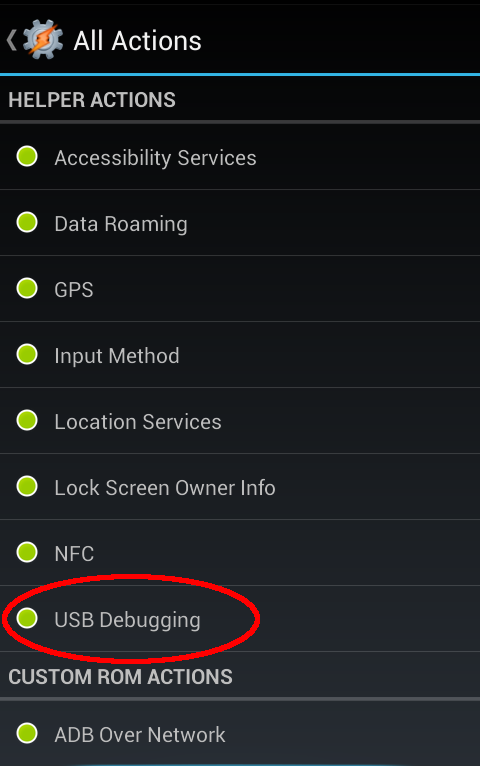 The exact menu entry can be found under Settings -> Developer options -> Android debugging. 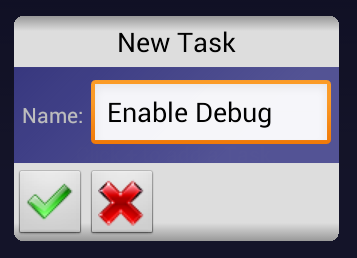 I managed to re-enable Android debugging with Tasker and the Secure Settings plugin. 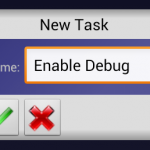 I’m assuming you own a copy of Tasker, you have successfully installed Secure Settings and enabled the relative Helper. To do so you must have a rooted ROM like CyanogenMod.